Hilton M. Title, D.D.S. 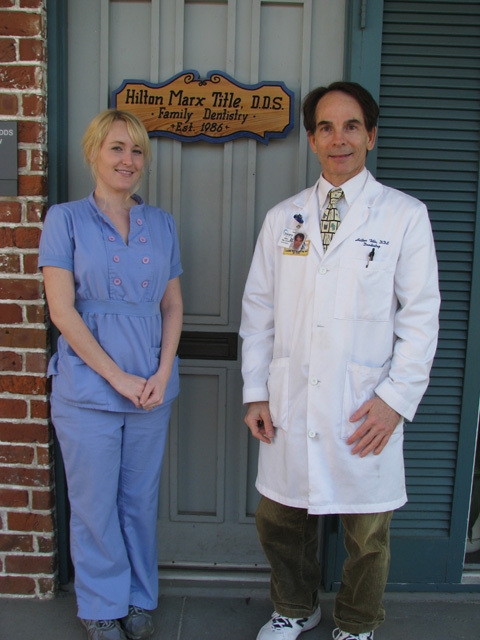 specializes in beautifying smiles, maintaining your dental health, and helping you improve your appearance. We treat our patients like our own family members, with individualized treatment in a "One-On-One" manner, ONE PATIENT AT A TIME, where the Doctor himself performs the teeth cleanings, not a dental hygienist. Our experienced and friendly staff takes great pride in keeping your smile beautiful, utilizing the latest technological advances in modern dentistry, including use of WIRELESS DIGITAL X-rays that require only 1/3 the amount of radiation compared to the "old" way. Our promise to you is that the veneers, fillings, crowns, and bridges we create will look as good as or better than the teeth nature gave you. And to make sure we keep that promise, the products we recommend and use are the highest quality and incredibly durable. You can trust your smile with us. The office of Hilton M. Title, D.D.S. is located in the historic Garden District, one block off of the St. Charles Avenue streetcar line in the Touro Medical Plaza Office Building at 3600 Prytania Street Suite #48 New Orleans, LA 70115. Parking is available in our Tour Medical Plaza parking garage as well as the surrounding historic neighborhood.